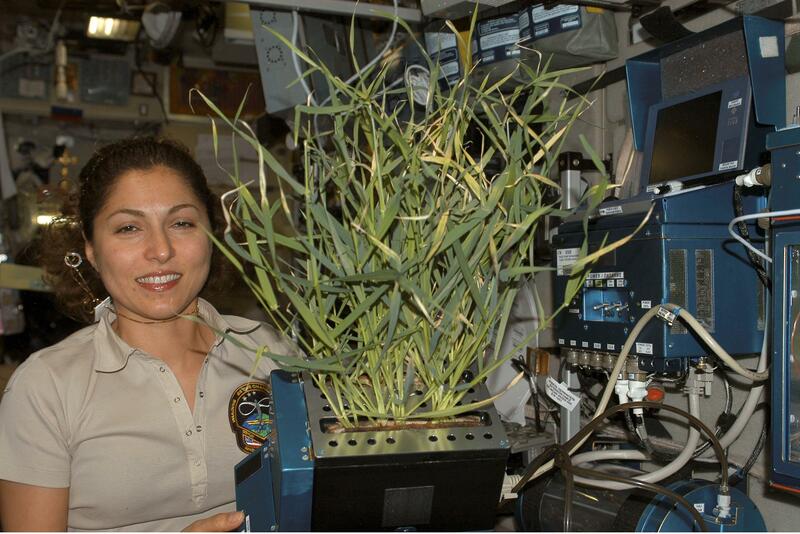 Russian scientists have confirmed that plants grown on the International Space Station are safe to eat. This has important implications for future long duration space missions. "The plants have been very developed, absolutely normal and did not differ a lot from the plants grown on Earth," according to Margarita Levinskikh of the Institute of Medical and Biological Problems of the Russian Academy of Sciences. Crop scientist Bruce Bugbee told Popular Science, "We have also gotten experience with the astronauts and cosmonauts eating the fresh food they grow and not having problems." It can be pretty harsh out there, confined to a small metal box. Caring for a plant every day provides vital psychological relief, giving astronauts a small remembrance of Earth. The Lada greenhouse on the ISS needs repairs but in the near future the plan is to plant rice, tomatoes and bell peppers, none of which have been grown in space before. Since the rice genome has been fully sequenced, the space grown rice can be compared to Earth rice to see if gene expression is affected. 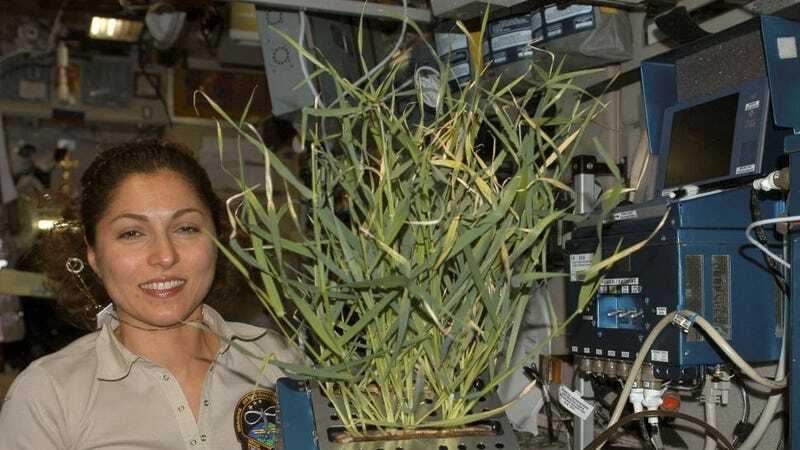 Top image: Anousheh Ansari holds barley growin in a Lada root module via NASA.